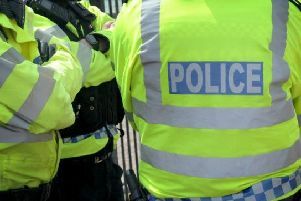 The latest policing priorities for Kenilworth and Burton Green have been determined after the latest Kenilworth Community Forum held this week. At the forum held on Tuesday February 13 held at the Senior Citizens Club, attendees joined Sgt Chris Kitson of Warwickshire Police, Kenilworth mayor Cllr Kate Dickson and other councillors to discuss what the police should focus on. The three priorities will be: at least 15 crime reduction patrols in Kenilworth town centre to tackle theft and antisocial behaviour, at least 15 antisocial behaviour patrols in St John’s ward to reassure residents, and at least 10 speed checks on motorists driving in Cromwell Lane, Burton Green to promote speed reduction. The next forum will be held on Tuesday June 26, when a new set of priorities will be agreed.